A new poll indicates that as many as 75% of automobiles on the road today need to have some type of maintenance or repair work done. According to the poll, which was commissioned by the Car Care Council, more than three out of every four automobiles currently registered for operation need to be serviced by an auto mechanic. Some of the biggest issues with these cars are related to the engine oil, brakes and cooling systems such as the radiator. Rich White, executive director of the Bethesda, Maryland-based automotive maintenance awareness coalition, noted that with car payments and auto insurance costs, it can be easy to procrastinate staying on top of potential problems that can occur as vehicles age. But not doing so may wind up costing motorists a lot of time and money. With spring’s arrival a lot of people like to take care of things that they may have put off in the winter, such as cleaning or organization tasks. Automotive experts say that drivers ought to include some basic maintenance procedures on their vehicles around this time of year, especially considering that the busy summer travel season is only a few months away. 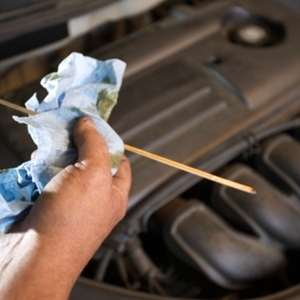 In addition to scheduling a professional tune-up – where mechanics can take a look at the vehicle themselves to see if major work needs to be done – motorists may want to check all the fluids in their car, such as the power steering, brake and transmission fluid. If they appear low, fill the reservoirs with the appropriate liquid. Other spring maintenance procedures can be found here.